Researchers will find that working in an archives differs from working in a library. Records are arranged mostly by the agency, organization or individual that created them, rather than by subject. Descriptive inventories in the form of finding aids for government records and manuscript collections can help you navigate these records. Indexes and catalogs for certain records, the library, photograph, maps and artifact collections are available in the Archives reference room. Hawai‘i State Archives Indexes to Marriages (1826-1929), Divorces (1848-1929), Naturalization (1844 to 1894), Denization (1846-1898), Passports (1845-1874), Probates (1848 to 1915) and Wills (1852-1915) have been digitized and are now available online through Alu Like’s Ulukau website. Archives collections (maps, library, some photographs) and summary of finding aids are cataloged online. To see the online catalog, click on “Library and Map Catalog” link on our home page under Research Our Records..
Below is a list of finding aids available for download. 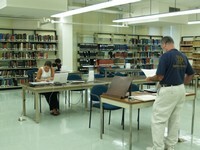 Administrative Rules governing the use of Public Archives describes current rules and procedures that must be followed when visiting Hawai‘i State Archives. For filming at the State Archives, as per our administrative rule section 3-20-5(d), “Due to limitations in space, not more than one user of video recording or photocopying equipment may be permitted at a time. Previous arrangement should be made.” In addition to contacting the State Archives to set an appointment, any filming for the purpose of film, television and/or commercial use will need to secure a Film Permit from the Hawaii Film Office. Permits must be submitted five working days prior to date of filming. See https://filmoffice.hawaii.gov/news/film-permit-application/ for more information.